Appearance of your eyelids expresses you mood and how well-rested you are. Some patients complain that they are told they look tired when they are not. It is the appearance of the eyelids that may contribute to your tired and sad look. 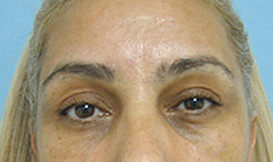 With age, the skin of the upper eyelids stretches and droops over the upper eyelid. 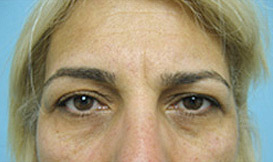 The lower eyelid skin also stretches and the fat behind the skin bulges producing bags under your eyes. This can happen even in younger people. The drooping upper eyelid skin and/ or lower eyelid bags produce the fatigued and sad look. How can the appearance of the eyelids and bags be improved? Blepharoplasty (also known as eyelid lift surgery) is an effective procedure to restore the refreshed appearance of the eyelids. 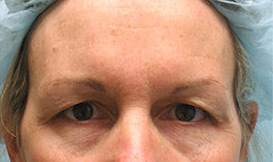 The redundant skin of the upper eyelids and any excess of fat is removed. The incision is placed in the upper eyelid fold such that when eye is open the thin scar is hidden within the fold. Removing excess skin from the upper eyelid opens up the upper eyelid resulting in a refreshed appearance. 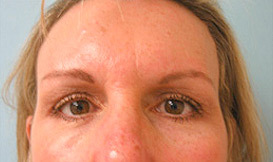 Removal of the lower eyelid skin excess results in smoother appearing lower eyelids. Removal of excess of fat from the lower eyelids eliminates the bags, restoring the well-rested and youthful appearance of the eyes. The incisions for lower eyelids surgery are hidden just below the eyelashes or on the inside of the lower eyelids (transconjuctival approach). Your eyes and eyelids will be carefully examined during your appointment. Appropriate blepharoplasty techniques and placement of incisions will be discussed with you in detail.